Science, Technology, Engineering and Mathematics (STEM) are an integral part of today’s world, which grows out of a need for and involves the systematic study of the application of knowledge, creativity, and resources to solve problems and extend human potential. Technology has changed and will continue to change society. Complex social issues have evolved from technological developments. Citizens must be prepared to understand technological innovation, the productivity of technology, the impact of technology on the quality of life, and the need for critical evaluation of social changes resulting from technological advantages. 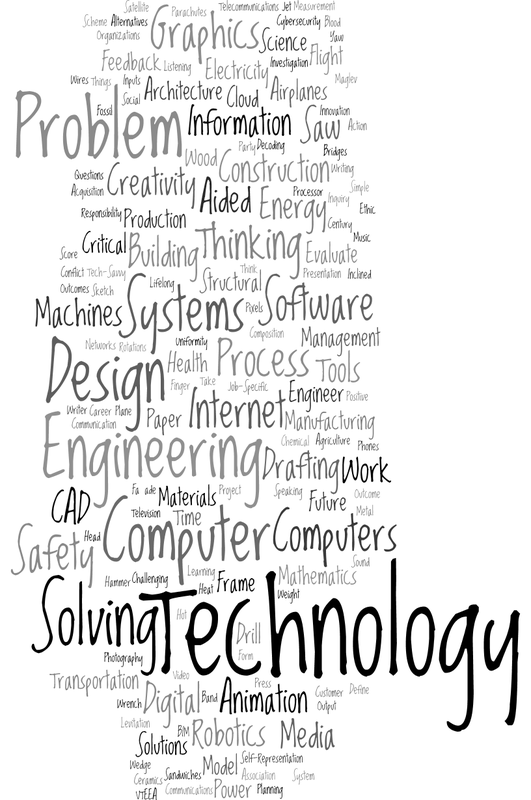 Employ the technological process of problem solving, creating, and designing. Analyze the behavior of technological systems and sub-systems, including the tools, materials, processes, energy, information, and people involved in systems. Just want to update everyone on our class supply list: Composition Notebook 2 Pens (2 different colors) Positive Work Ethic includes coming to class prepared to do your work!